Office Hours: Mondays, 12:00-1:00 p.m.
Students: Please contact Alex for information pertaining to the annual MSUSCMA Career Fair and the companies attending, how to become a Career Fair Ambassador, and how greater involvement in SCMA can help build your resume. Companies: Please contact Alex for information regarding MSUSCMA Career Fair registration, Interview Day registration, payment, and varying options to better suit the needs of your company. Alex Christiansen and Kailey Peterson (email: pete1157@msu.edu) are SCMA’s two Career Fair Directors and will best answer any related questions you may have. Hello everyone! 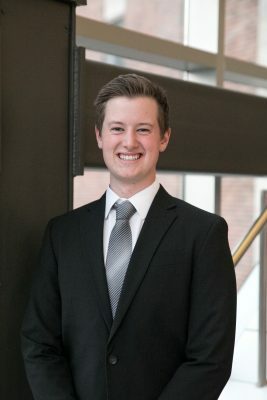 My name is Alex Christiansen and I am a Junior majoring in Supply Chain Management and minoring in Information Technology. I am excited to have been elected as one of the Career Fair Directors this upcoming school year. I grew up in Grand Haven, Michigan and I have two older brothers and a sister-in-law who all graduated from MSU. This summer, I have an internship at Amway working as an IT Project Manager in Ada, Michigan. I look forward to another great year with SCMA!